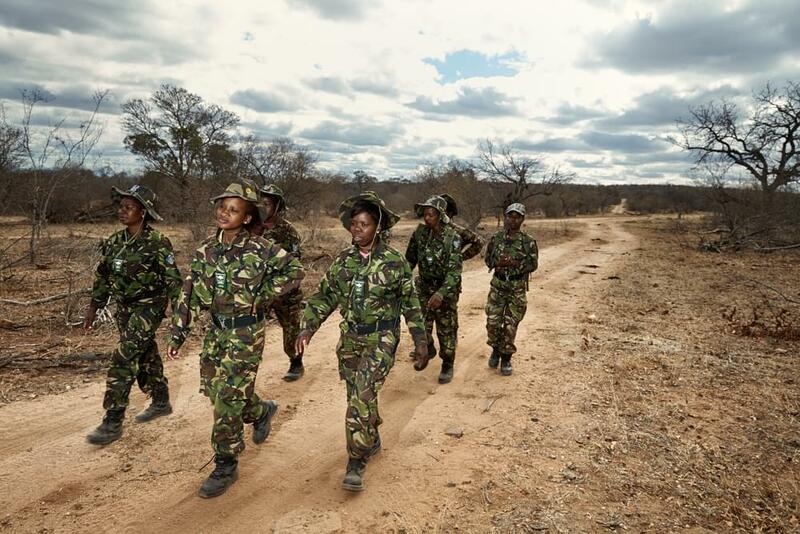 The Black Mamba Anti-Poaching Unit is a mainly female team set up in 2013 to protect rhinoceroses and other animals in north-eastern South Africa’s Balule Nature Reserve. 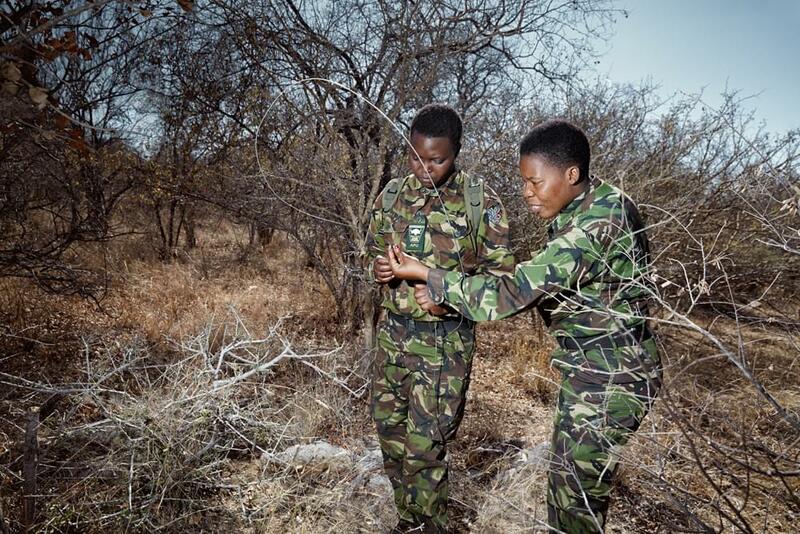 The unit’s 26 women are trained in anti-poaching and survival skills. 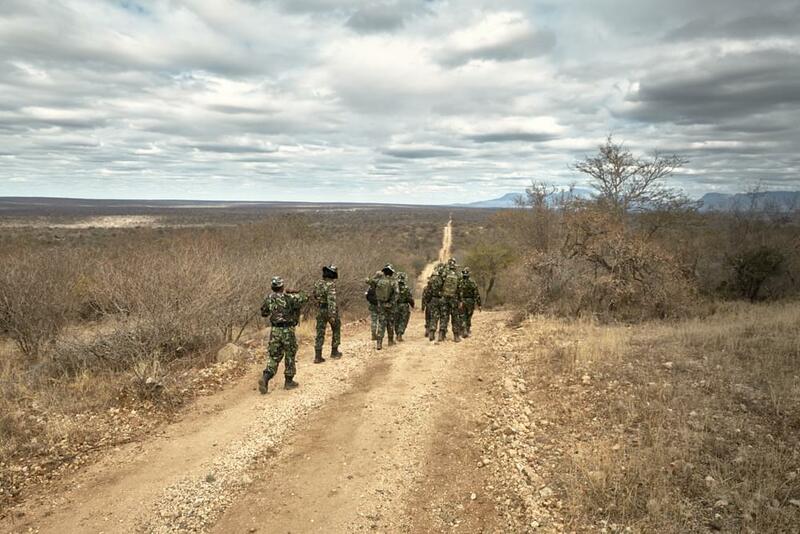 On courses taught by professionals they learn how to track and identify animals and humans, blend in with their surroundings and avoid confrontations. 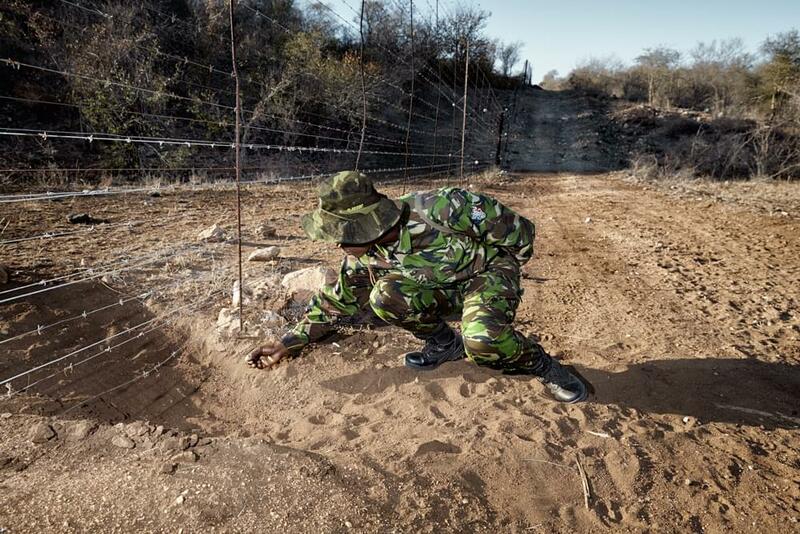 This training is crucial as the work they do is dangerous – the animals they protect are wild and poachers often shoot to kill. In large part thanks to rising demand from Asia, the poaching of rhinos has increased sharply in recent years, from thirteen cases in 2007 to more than 1,100 in 2015. Today, only 28,000 rhinos live in the wild in Africa, 95% of them in South Africa. 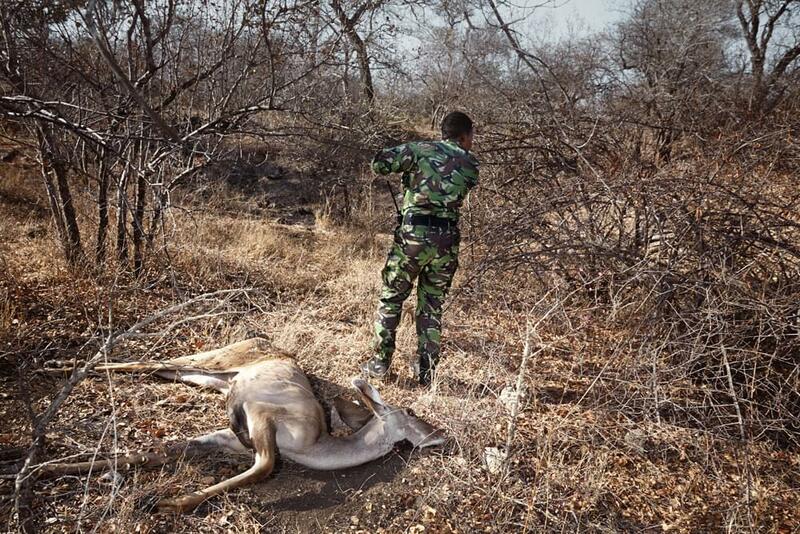 Other wildlife protected by the Black Mambas include wild dogs and cheetahs, both hunted by snaring. 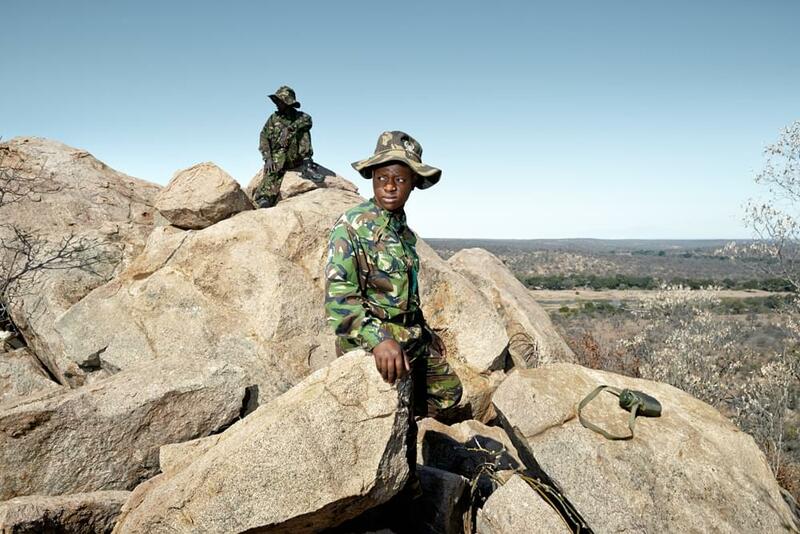 As well as their anti-poaching work, the Black Mambas also spend part of their time sharing their knowledge of Balule’s natural heritage with communities living around the reserve.